I'm not really up to date with what's happening with the Iron Man 3 movie that's supposed to come out next year even though I'm thoroughly excited to see it. So I was pleasantly surprised to find out that 2013 will be the 50th anniversary of Iron Man. Makes me wonder if Disney/Marvel timed the release of the 3rd movie to coincide with the 50th Anniversary of Iron Man. 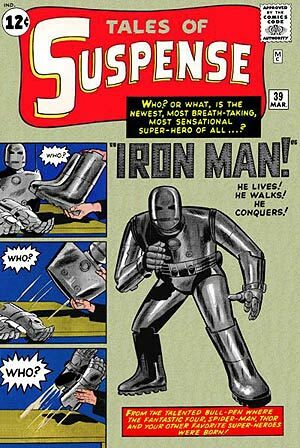 Iron Man first came out in 1963 in the Tales of Suspense comic book.